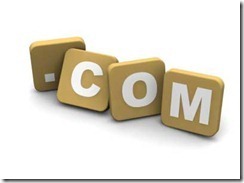 Nice and good Domain name plays an vital role in your entire blogging career! Some newbie people pick up domains names without thinking so much and often get stuck in their career afterwards. So its must for us to pick up an good domain name for your blog that suites our niche and targeted keywords. Hence Its a fact that your blog name is yours first impression towards your visitors. Note- Getting poor domain name will almost decrease 50% of visitors from visiting your blog. So today I must teach you my Top 10 Ways of picking up a killer Domain name just below. Have a look! How to Find Expired Domains ? Yes its true your first priority must be a .COM Domain name and then go for .net, .org, .in etc. As .COM represents some repo and sounds professional in blogosphere. It is recommended by most of the webmasters and suites for all types of business online. Never include – and special symbols in your domain name as it makes your url ugly and not well optimized. Its get hard to remember your domain name when you deal with Hyphens and special symbols. Adopt Domain Name enrich in popular targeted keywords – for ex- www.bloggingways.net. 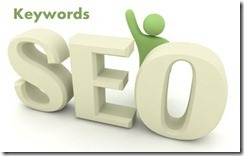 Here Blogging and ways are 2 popular keywords included. By doing this, your domain name search visibility will become mores. Its obvious to get a domain name as per your blog niche because it helps your visitors to know about your blog without visiting. So Choose your niche wisely. Yes to rank higher in SERP’s and to avoid Google sandbox effect always register an expired old domain name. This will also helps you to get lots of backlinks and good PageRank too if an old domain name has. 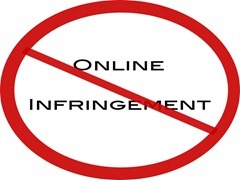 Before buying any domain name, please visit here to check if the domain name is previously banned by Google AdSense or not. If not, then buy otherwise not. To help you checking out the availability of multi domains in a list by your given keywords, some tools are made online like this one. Now its more simpler than ever to register and find a domain name easily. You can also use websites like AJAXWhois and Domjax. Having your website confused with a popular site already owned by someone else is a recipe for disaster. So its must to adopt a domain name that stand out of the crowd and speaks itself. Thus build your own brand. Previous article: Know Which Google Algorithm Penalized your Blog?